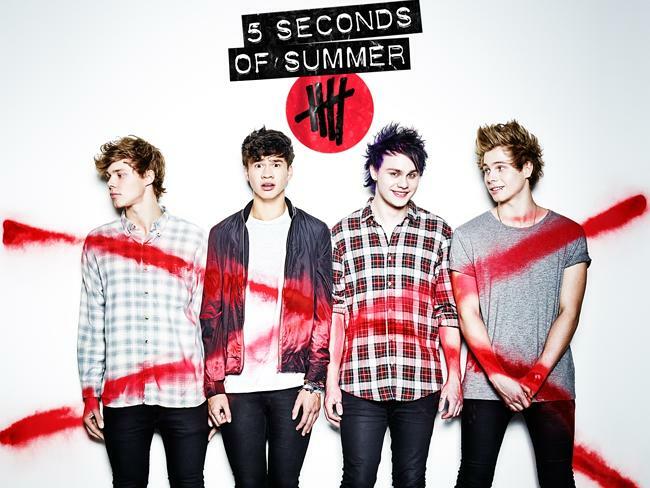 No.1 on Billboard 200, 5 Seconds Of Summer debut album sells 259,000 copies. Australian pop band – 5 Seconds Of Summer – have taken the music world by storm with their self-titled debut album hitting No.1 on the Billboard 200 chart. The album has achieved the third highest sales figure of the year for a debut album, they sold a whopping 259,000 copies after the album was released in June, 2014. The Australian boys – Michael Clifford, Luke Hemmings, Calum Hood and Ashton Irwin – formed the band in 2011 and have earlier released a four-song EP titled – She Looks So Perfect. The EP has tasted commercial success as it debuted at No.2 with a staggering sales record of 143,000. 5SOS’s new self-titled album features 12 tracks and holds the distinction of being the highest-selling debut for any group in eight years. The last time any debut self-titled album achieved such success was Chris Daughtry, his 2006 album sold 304,000 copies. The Aussi band has the advantage of being managed by the same company that manages “One Direction”. The band also performed an opening act for 1D’s stadium tour which was held all across North America.